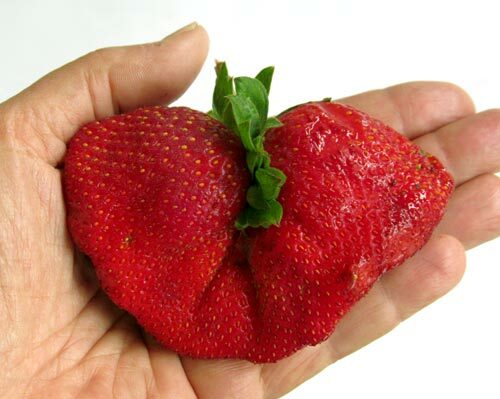 This conjoined strawberry came from Sunshine Organic Farm. Even though I handled it gently, it was so ripe that it bruised easily, and leaked bright red juices all over my hand. Doesn’t it look like a large moth, or perhaps a heart? Grown locally at Sunshine Organic Farm.